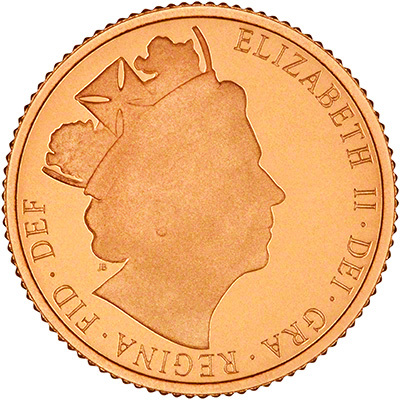 The 2016 proof half sovereigns feature a brand new portrait of Queen Elizabeth II in order to commemorate her 90th Birthday. 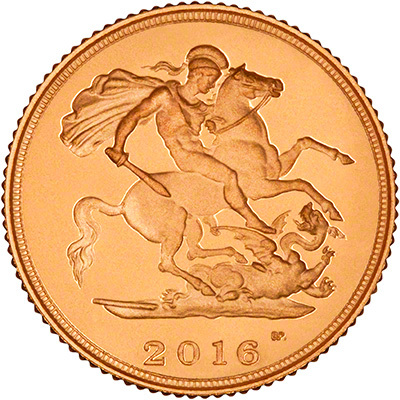 Instead of the fifth portrait, first used on the 2015 proof sovereigns, the 2016 proof half sovereigns feature a new portrait, by James Butler. The 2016 half sovereigns are the first to feature the fifth portrait, by Jody Clark, on the obverse. 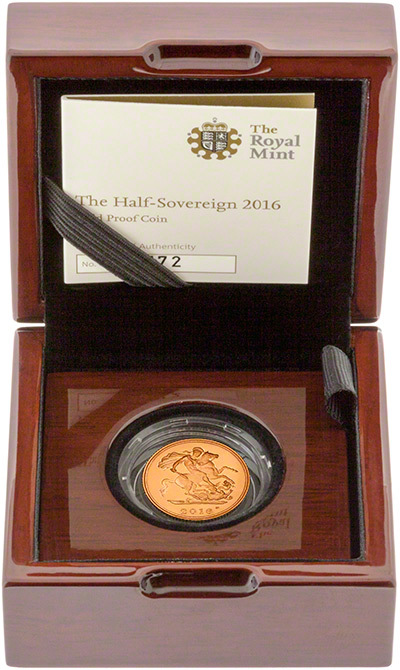 Unlike some of the 2015 proof full sovereign, the proof half sovereign did not depict the fifth effigy. 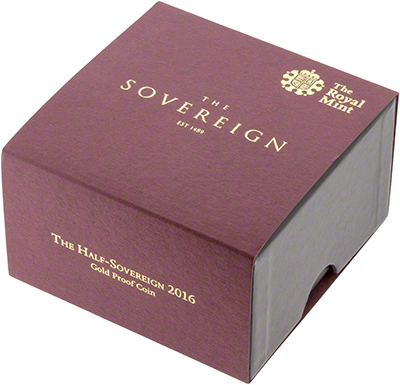 We will also be getting the uncirculated and proof 2016 sovereigns.